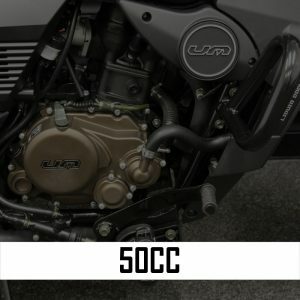 We are the authorised agent for Motorcycle Manufacturers such as Rieju, Hyosung, Lexmoto, AJS, Genata, Neco and WK bikes, Scooters and brand new Aprilia Bikes. Established for almost 30 years – not bad for a motorcycle business in Scotland where sunshine is a rarity. Furthermore things just keep getting better. 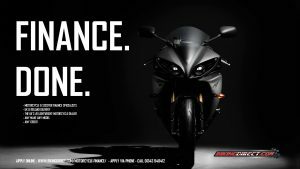 If you are looking for a bigger bike try www.nemc.co.uk. This is our Elgin branch range of Motorcycles. Brands consist of AGV, RST, Bell, KBC, Berik, Arlen Ness, Nitro, Spada, Sidi, Richa and Wolf. We can also get our hands on pretty much anything else too, such as Dainese, Alpinestars, Schuberth, Shoei etc. We are planning on taking some Dainese boots and gloves into stock pretty soon. Many more items are available via our website www.BikingDirect.com which are available to collect from the store. If you have any questions get in touch, we have a display of helmets, clothing and boots, stock often changes so pop in anytime. Staff are always happy to assist you in getting the right fit and guarantee the in store prices are far better than any you will find online. 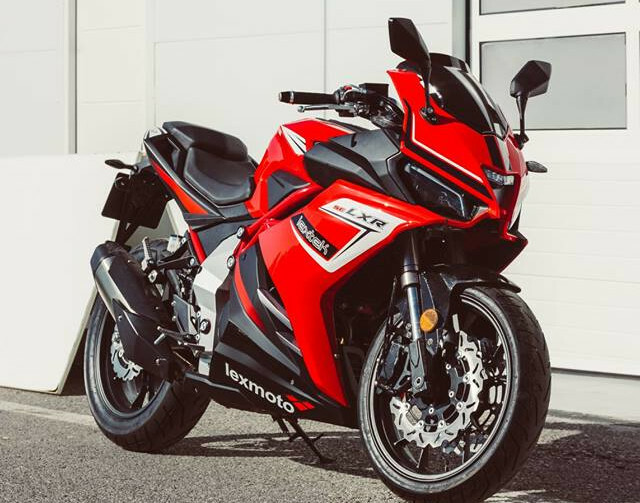 Motorcycle Finance is our speciality, our dedicated team of finance advisors ensure you get the right deal while ensuring affordability. Advisors are not paid commission which ensures no pushy sales, furthermore we confirm with each customer prior to sale. Customers can apply for scooter or motorcycle finance securely online here. Also, we are authorised & regulated by the Financial Conduct Authority, you can view our licence here, ensure you check out the trading and brand names section. 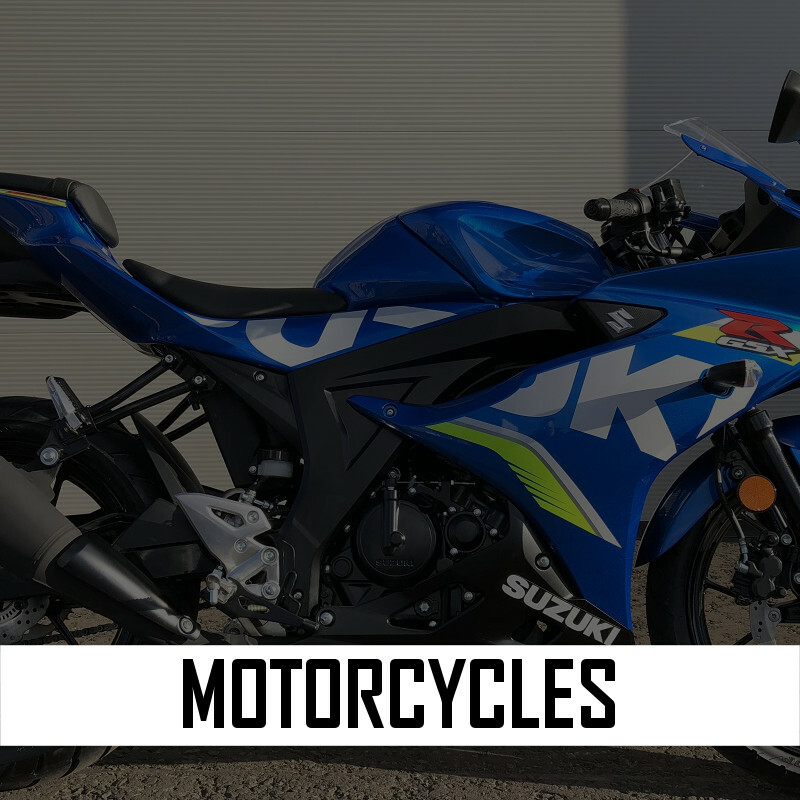 Our confidence in the products supplied is paramount to none, unlike other dealers we are happy to buy chinese bikes back in and even trade in against a new bike. Customers already benefit from this and it is our pleasure to assist in ensuring our customer base have this option supplied to them ensuring continued access to the latest models whenever they like. Furthermore, confidence is shown by offering FREE MOT’s for Life on all our new and used Bikes & Scooters. You can find out more about this unique offer here. North East Motorcycles was set up in the early 1980’s and has always been a full time family business. In 1999 we were one of the first online retailers of motorcycle clothing, helmets and accessories shipping items globally. Now, our most recent venture – BikingDirect.com is a huge success. As a result the site is supplying the world with motorcycle gear. 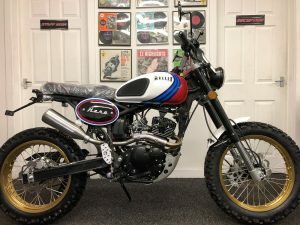 We sell all kinds of motorcycle items via our website and aim to keep a mixture of motorcycles & scooters in the store, and with items selling often via the website our ‘in store’ stock is constantly changing. 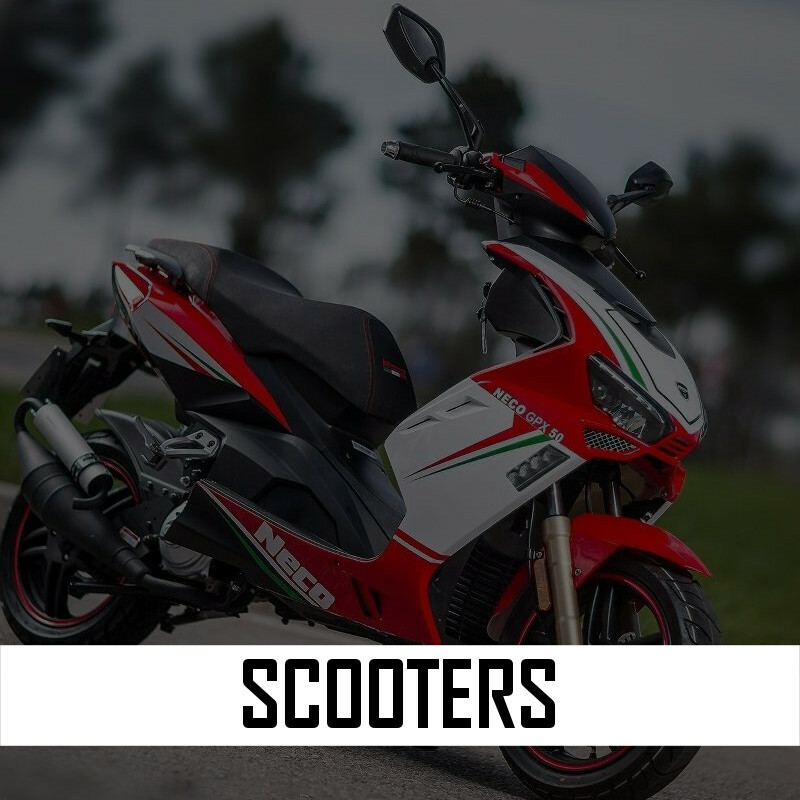 Also available are 125cc motorcycles and scooters, and 50cc motrorbikes and scooters – we always aim to keep a range in stock but sometimes we run a little low due to demand. Click Brands for the full list on offer. If its choice and selection that you seek then you have come to the right place. Due to our ever expanding business we have more brands on offer, and there is something suited to everyones requirements.